We often think that a new year is the time for renewal and a chance to start over. Most often though, the fresh spring breezes and chirping of new life are what invigorate us to start anew. We take this opportunity to air out our homes and clean out the winter cobwebs. 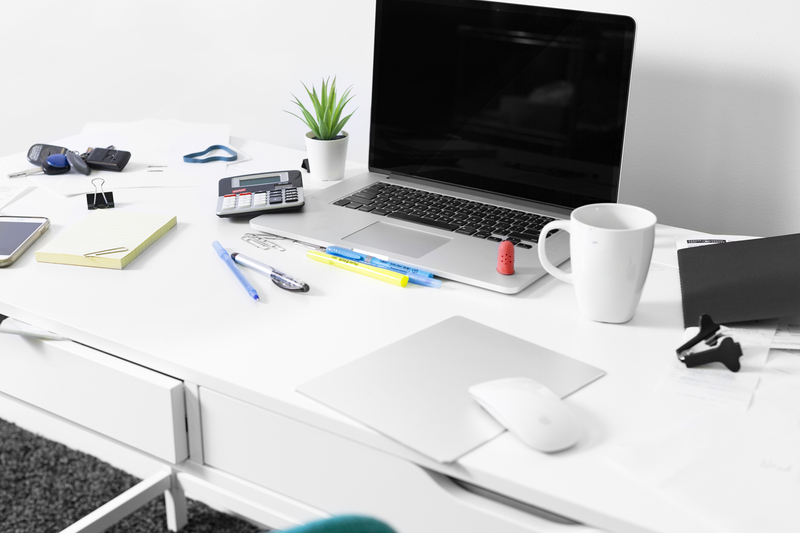 If you’ve jumped on the tidying up bandwagon, you know what sparks joy in your home and a messy desk may not be on that list. One of the things that brings the Kanto team joy is having quality music right at our fingertips while we work. Integrating music into your office area can be easy and stylish. But first, let’s tackle the clutter that can accumulate on all of our desks. Paper clutter can happen quickly. Without an easy to follow system in place, miscellaneous papers can pile up and make finding important papers more difficult. Find a system that works for you. 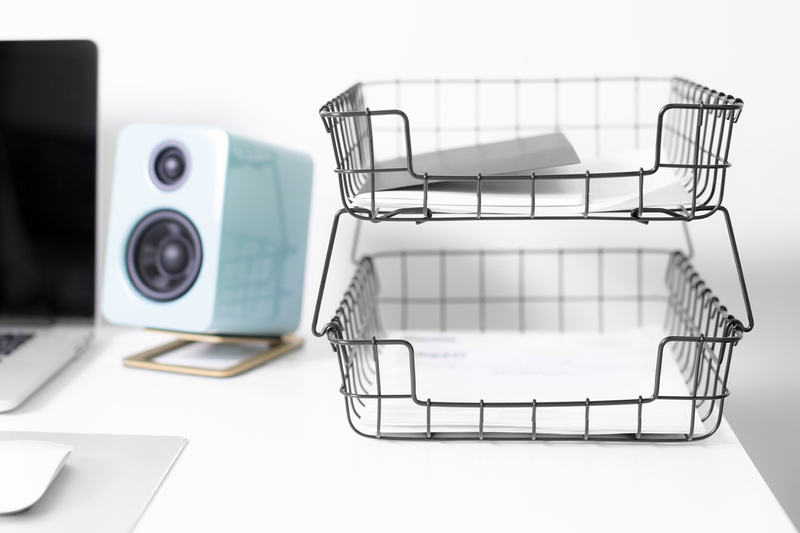 We like using these wall magazine racks from IKEA to get papers off our desks. If you don’t have the wall space, use a letter tray instead. Get into the habit of emptying out these trays once a week and filing away what needs to be stored. Open mail regularly and make sure to discard anything that is no longer of use. We choose to do a desk clean up on Fridays, so our desks are fresh on Monday morning. If you need to keep track of your receipts, keep them in one place by storing them in a glass jar. Wires are unsightly and can get out of hand depending on how many devices you need to use daily. There are a few ways to keep them under control. Use a raceway to conceal wires along a wall. 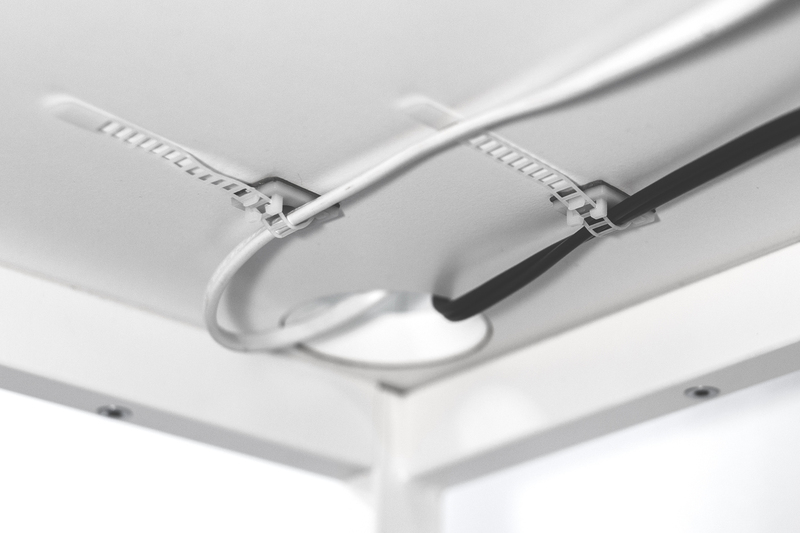 Attach wires underneath your desk to keep them handy yet concealed with these adhesive cable management ties. 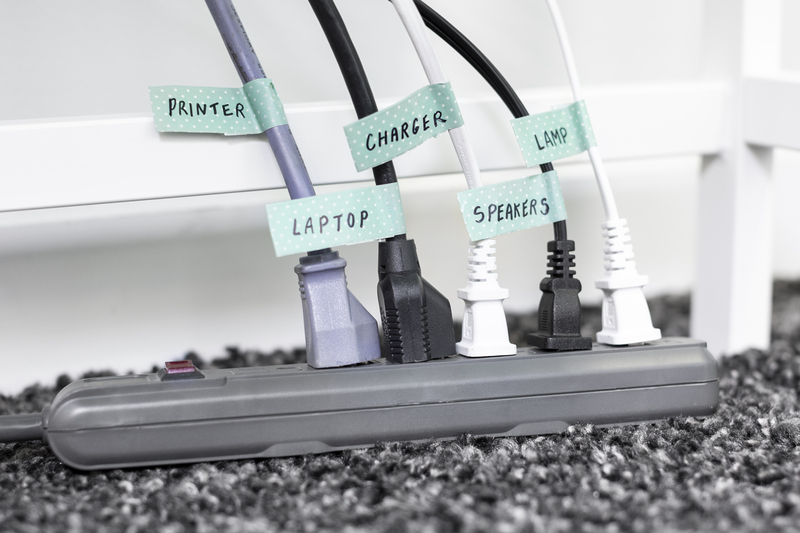 Labeling all of your wires at the plug makes them easily identifiable when you need to unplug or move an item to a new spot on your desk. Keep small items in one place by using glass jars or some sort of box. Store like items together. 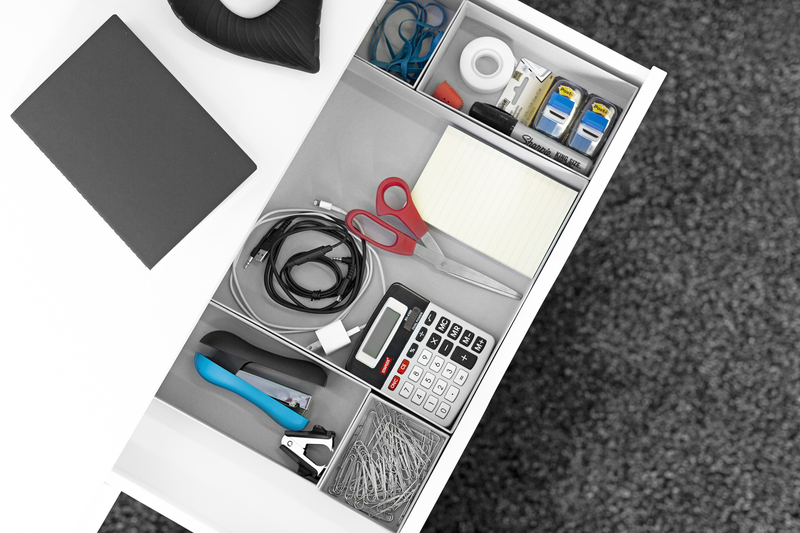 By keeping like items together, you’ll not only be able to find what you’re looking for faster, you’ll also be able to keep drawers and tabletops tidy. Tackle boxes, sewing boxes, makeup containers or vintage toolboxes can all be used instead of generic desk organizers. 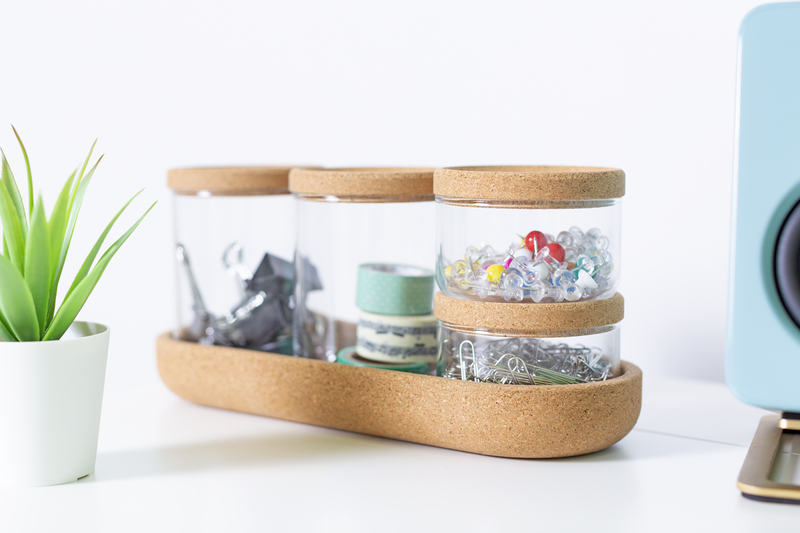 Get creative and match your desk organizer to your décor. 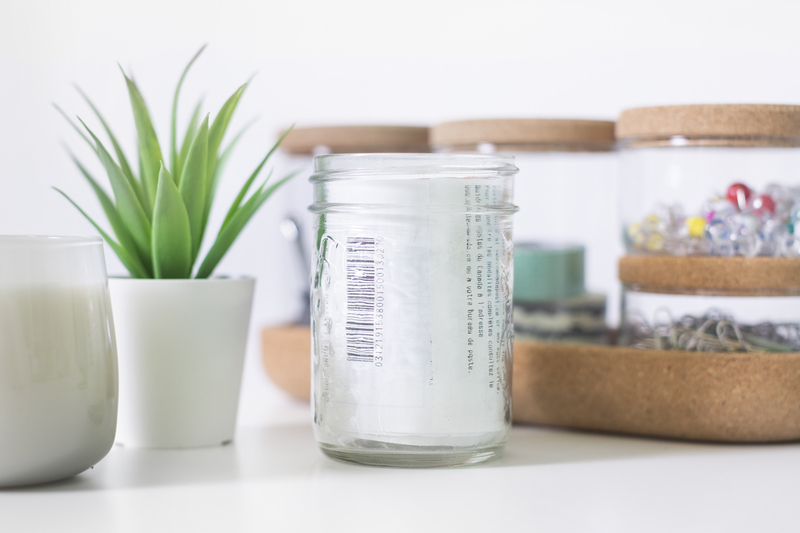 We found this glass jar set from IKEA that can be used anywhere in your home. If glass jars won’t fit in the drawer that you have, use small containers or boxes. Speakers don’t have to take up a lot of room on your desk. 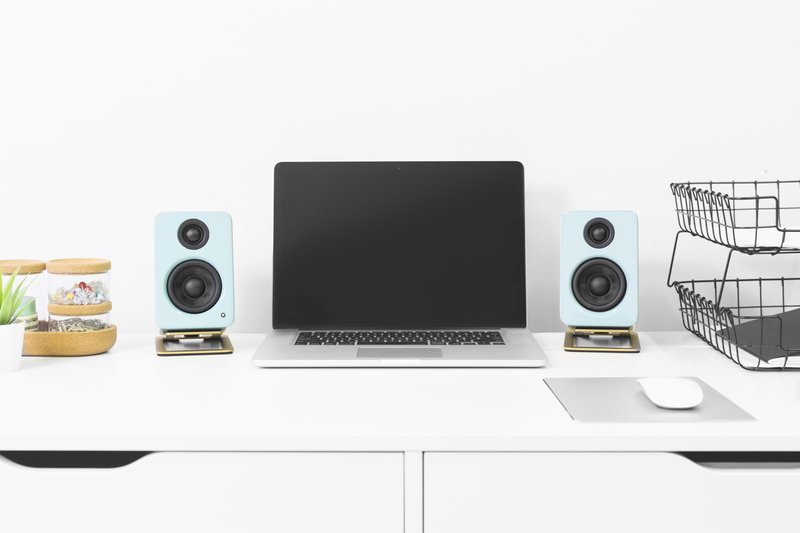 With a footprint of 4” wide by 5.3” deep, Kanto’s YU2 desktop speakers fit nicely on any size desk. With a precisely angled stand, your speakers will be pointed directly at your ears so you can hear every note you’re meant to. Kanto YU2 desktop speakers and S2 speaker stands are sold at select participating retailers. YU2’s come in a wide range of colors, leaving no décor behind. For a long time, I would write without music, because I thought it was distracting until I appreciated that it actually unlocks a certain unconscious productivity vault in my mind. We’d love to see your desktop speaker setup. Send us your pictures on Facebook or post to Instagram using the hashtag #kantoaudio.